THAT’S ALL FOLKS - The 2018 Performance Racing Industry Trade Show wrapped up Saturday after three days of non-stop motorsports business. Attendees streaked into the Show floor to shop over 3,300 booths and meet with representatives from top race and performance suppliers representing all forms of motorsports. Buyers from all 50 states and 70 countries also visited popular Show attractions such as the new Trailers Exhibit Area at Lucas Oil Stadium, Machinery Row, and the Featured Products Showcase. The three-day event kicked off with Race Industry Week, a full week dedicated to motorsports-related activities in and around the Indiana Convention Center beginning on Monday. The official first full day of the show on Thursday featured a Grand Opening Breakfast featuring motorsports legends Al Unser Sr. and Al Unser Jr. who captivated an audience of 3,000-plus that filled the Convention Center’s Sagamore Ballroom for the Show’s traditional kick-off. Day two kicked off with a slate of seminars featuring industry leaders and expert presenters including Lyn St. James, Shea Holbrook, Cara Adams, Steve Whipple, Tom Shay and Corey Perlman, among others. Breaking news and announcements by Straightline Strategy Group and NHRA, Edelbrock, Drag Illustrated, and Competition Plus added to the excitement on the second day. Finally, the show wrapped up on Saturday with the final day of business as exhibitors and guests finished up their work in preparation for a return to their home bases ready to tackle a new year of racing. $%&* SCELZI SAYS - For the second year in a row, one of the most anticipated and exciting moments of the PRI Trade Show was the debut of Competition Plus’ Legends: The Series, this year featuring four-time NHRA world champion Gary Scelzi. In front of a bustling media room filled with racers, fans and friends, Competition Plus Editor Bobby Bennett debuted the half-hour feature showcasing the life and times of Scelzi. In the episode, the finale of season four of the series, Scelzi talks about his struggles to make it to the highest echelons of the sport and the sudden success he found when he finally made it to the nitro ranks. In his career, Scelzi collected 43 wins and won four championships, one in Funny Car in 2005 and three in Top Fuel in 1997, 1998 and 2000. “With Scelzi Enterprises, my brother and I started it 40 years ago. We started in a 4,500 square foot building and when you give a tour now there are 400 employees on 25 acres in a 250,000 square foot building and you think, ‘how in the hell did we get here?’ Drag racing is very similar,” said Scelzi, who was on hand for the Friday premier. “When you are doing it you don’t even realize you are doing it. You were having fun, that is what you did and you don’t realize all of your accomplishments. Legends: The Series is an online documentary/interview series that delves into the history of those drag racers who shaped various areas of the sport. Surpassing more than three million views online, the series, that combines raw interviews and historical footage, will soon enter its fifth season. BRIGHT YOUNG TALENT - The highly anticipated 2018 Drag Illustrated 30 Under 30 list was unveiled on Friday afternoon of the PRI show at a press conference in the Media Room. Made up of 30 young drivers, crew members, tuners, fabricators, media members and other drag racing insiders, the Drag Illustrated 30 Under 30 list seeks to shine a light on the rising stars of the straight-line sport. The list, which features personalities from numerous classes, series and countries, was picked by a panel of Drag Illustrated staffers reviewing thousands of nominations from the drag racing community. The 2018 30 Under 30 list also includes the following personalities: Cory Gulitti, Jordan Ensslin, Matthew DeYoung, Tyler Bohannon, Cam Clark, Jake Simmons, Brandon Greco, Devin Isenhower, Nicole Liberty, Kyle Lang, Cole Rokosky, Madyson Ayesh, Jimmy Plimpton Jr., Justin Hutto, Santo Jr. and Santino Rapisarda, Jake Howard, Sadie Glenn, Daniel Young, Edmond and Caleb Ellison, Jake Sanders, Rachel Meyer, Camrie Caruso, Mike Decker III, Andy Schmall, Ashley Pritchett, Charles Myers, Kris Whitfield and Marina Anderson. NEXT GENERATION - The next generation of dragster rear ends arrived at the Strange Engineering booth at the PRI show. The 9” modular 4-link floater rear end is specifically designed for dragsters. The aluminum rear features a lightweight floater design and large 11.50” stainless steel 2-piece floating brake rotors with maximum clamping force delivered by billet Strange caliper, perfect for Super Comp and Top Dragster. PRODUCT SHOWCASE IS BACK - Following a successful launch last year, the Featured Products Showcase returned to the PRI Trade Show in 2018. This year’s Featured Products Showcase was located in the new Lucas Oil Exhibit Area, enabling exhibitors to further highlight their products and increase connectivity with buyers at the show. OUT OF THE COLD - Speaking of the new Lucas Oil Exhibit Area showcased in the return of the Featured Products Showcase, a number of additional exhibitors were able to take advantage of the new space using parts of Lucas Oil Stadium, home of the Indianapolis Colts. Among them were the trailer companies, which in the past lined the streets outside of the Indiana Convention Center, leaving both exhibitors and guests in a bit of a frosty situation venturing outside into the brisk Indianapolis winter air. Bringing the trailer companies inside the new space, exhibitors saw a dramatic increase in the number of guests visiting their displays, while guests finally had an opportunity to explore the trailers in a much warmer setting. And, not to mention, the increase in traffic for folks looking to take in the new surroundings. For visitors not from the Indianapolis area, they got to enjoy a close-up look at Lucas Oil Stadium and even venture out onto portion of the field as the stadium opened its doors for all to view the impressive NFL stadium specially for the PRI Show. 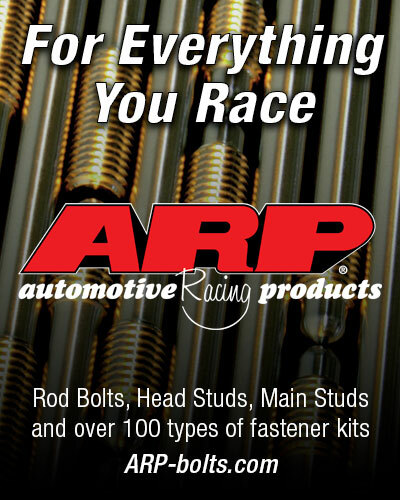 O'NEAL LANDS A DEAL - NGK Spark Plugs USA, Inc., announced during the PRI Show that it has extended its relationship with NHRA Top Sportsman drag racer Don O’Neal. O’Neal, who finished seventh in the NHRA’s national Top Sportsman standings in 2018, will compete with a different vehicle and power package in 2019. His new race car, a 2015 Chevrolet Camaro, will be powered by a Magnuson-supercharged Chevrolet 427 LS engine with VP Racing methanol. The engine will be triggered by a set of NGK racing spark plugs. O’Neal’s new car, branded with both the NGK and NTK brands, will be unveiled at the show in the Lucas Oil Arena feature vehicle hallway. Drag racing has become technology-driven, O’Neal went on to say. Sensor information is now the key to a successful program and that is where the decision to align with the NTK brand stemmed from. Top Sportsman cars are among the most interesting in all of drag racing, from a technical standpoint. The rules allow for supercharged, turbocharged and nitrous oxide-injected engines. The cars are full-bodied and typically complete their quarter-mile pass in seven seconds or less, routinely surpassing 200 miles per hour. The Top Sportsman category is part of the NHRA’s Lucas Oil Drag Racing Series for sportsman racers. It is among the fastest categories in sportsman drag racing. A SOLUTION FOR EVERY PROBLEM - Have a problem with your car? Chances are, Rickie Jones and Quarter-Max have a solution. Known throughout the industry as a leader in chassis and racing components, Quarter-Max had a table full of new and innovative products to make life easier for competitors. One of the most exciting on hand at PRI is a threaded strut mount that gives racers control over the front ride height and the travel in the front struts. Teams can infinitely adjust the ride height of the car quickly without adjusting the springs by raising or lowering the threaded mounts which can be done with the car on the ground, even in the staging lanes for last minute tuning. “We have quite a few new and pretty cool, game changing components here today. One of the most popular items for us is the threaded strut mounts,” Jones said. 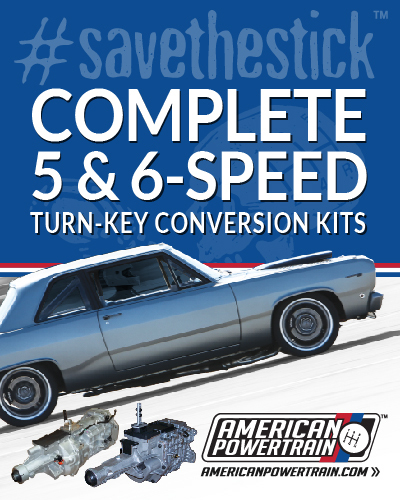 “We have had these on our cars for about 10 years, but a lot of people didn’t know the need and now that people are starting to understand the importance of ride height and the adjustability in the stroke of the front end, that is where this kit comes in. Also on display were some kits for the rear of your vehicle with adjustable shock mounts in single shear and double shear that were just released. Finally, Jones showcased the anti-roll bar kits. WALKING TALL - This time last year, J.R. Todd walked the show floor at PRI a struggling driver not sure where his future was heading after an up-and-down first year in Funny Car. Needless to say, this year has been a bit different. Todd walked the floor with his head held high as the 2018 NHRA Mello Yello Series Funny Car world champion, something he never could have dreamed of just one year ago. “It is cool to walk around here at the show and people call you champ. That never gets old,” Todd said. “When you hear that, it kinda makes it alright. We truly accomplished something. The PRI Show is just one of many events Todd has made an appearance at since winning the Funny Car title, and it has since been a blur as he adjusts to life as a champion and gets ready to get back in the groove in just a few short months. AWARD WINNING - Coming off of the high of being named the Manufacturer of the Year at the SEMA Show in Las Vegas just a few weeks prior, Aeromotive packed up and headed east to the PRI Show in Indianapolis with a full line of new products and a brand new swagger thanks to the award. Aeromotive, a market leader in high performance fuel systems, was honored at SEMA out of a group of over 2,900 manufacturers. The award honors individuals and companies that have made a significant impact on the specialty-equipment market during the past 12 months. Steve Matusek, Aeromotive’s founder and president, accepted the award on behalf of the company. And that excitement had the entire company buzzing at the PRI Show. Among the new products showcased by Aeromotive at PRI was the continued expansion of the Phantom line with the Phantom Apex which introduces jet siphon technology to pick up fuel remotely from another corner of the tank. Another new product is the new Phantom Trifekta for ultra-high horsepower street/strip applications. Equipped with triple 450lph, E85 friendly Walbro pumps, the new Trifekta supports staged pump control to reduce recycling and improve continuous duty capability. 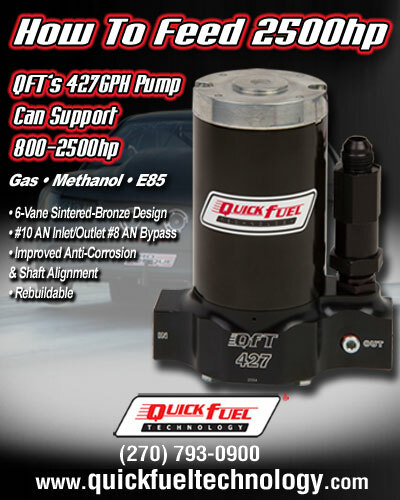 The Trifekta is ready to feed blown EFI applications making a whopping 1,650 FWHP on E85 and as much as 2,400 FWHP on gas. Finally, one of Pestinger’s personal favorite products, is the generation two Stealth Tank. TAKING IT TO THE NEXT LEVEL - It was a busy day in the McLeod Racing booth at PRI as the company featured a number of exciting products along with making a big announcement. 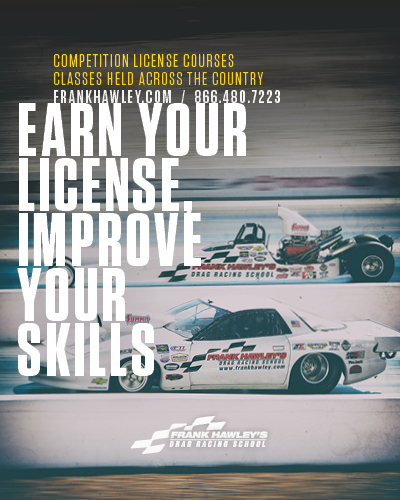 The big news came Friday when the Straightline Strategy Group (SSG), a brand new marketing and management company specializing in drag racing entities announced the formulation of a marketing alliance group that includes racers from a broad range of professional classes. Joining the SSG marketing alliance, which already owns the Parts Plus, Strutmasters.com NHRA Top Fuel Dragster driven by Clay Millican, include Matt Hartford with his Total Seal Pro Stock Camaro, Paul Lee and his McLeod Nitro Funny Car, No-Prep Kings/Street Outlaw Chevrolet racer Jeff Lutz, plus Janette Thornley with her AMRA Pro Fuel Harley-Davidson. Lee, who was cleared to return to the driver’s seat after suffering a heart attack in December of 2016, will partner with new crew chief Jim Oberhofer in his return to the NHRA Mello Yello Drag Racing Series as part of this exciting new team. “This is a marketing alliance with Doug Stringer’s team whose got some partners, including Steve Cole, Clay Millican’s Top Fuel dragster and Matt Hartford’s Pro Stock car, along with our McLeod Nitro Funny Car,” Lee said. “The idea is, when you are selling marketing partnerships, you want to give the marketing partner as much return on investment as possible. It’s not a secret that race teams such as Don Schumacher, Kalitta Motorsports, and John Force Racing have economies of scale when it comes to marketing. You can have a marketing partner on one car and at DSR, they can be, not on just one car, but also be an associate sponsor on six other cars. The whole idea is economies of scale and giving partners a lot more value for their money. Away from the big announcement, McLeod Racing showcased a number of exciting products including the 8-inch mag force, the new McLeod-Boninfante flex plate and a new transmission rebuild kit with McLeod and Raybestos. EYE CANDY - It is evident from the moment you walk into the building – this show is all about the eye candy. Nearly every booth features something to catch the eye, most noticeably racecars of every shape, size and discipline. Check out some of the prettiest and most unique race machines dotting the showroom floor. 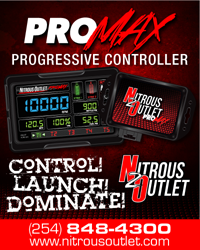 THERE’S AN APP FOR THAT - During the PRI Show, CompetitionPlus.com unveiled a brand new app available on Apple and Android devices that publisher Bobby Bennett hopes will one day change the way drag racing fans and industry insiders get their news. Founded in 1999 as a cutting-edge internet-based magazine, CompetitionPlus.com is once again looking forward with the launch of the CompetitionPlus.com app now available for free download. Readers can opt for push notifications which will update them when new content, such as breaking news or videos are posted at www.competitionplus.com. LIVE COVERAGE - One of the new and more fun elements to the 2018 PRI Trade Show was a brand new livestream broadcast covering all three days of the event. The Dodge brand partnered with NHRA as the official sponsor of the livestream coverage, which included special guests and features on all of the happenings at the annual gathering in Indianapolis live throughout the weekend on NHRA.com. Mopar Dodge Top Fuel driver Leah Pritchett and Mopar Express Lane Dodge Charger SRT Hellcat Funny Car driver Matt Hagan were among the many special guests, to stop by the display area, which featured a stage and a display area showcasing a number of drag-race themed vehicles from the Dodge brand. The livestream allowed those who could not attend the PRI Show an insider’s look into the three biggest days in motorsports business. THE PAST, PRESENT, AND FUTURE OF PRO MOD - Out of the hundreds of meetings, demonstrations, roundtables and standalone events, one of the most interesting gatherings of the weekend took place Friday morning during a Pro Mod Seminar held on the second floor of the Indiana Convention Center. Featuring many of the movers and shakers of the sport and hosted by Pro Modified ambassador John Waldie, the discussion featured a number of topics from the parity of the power units to the success of the various Pro Mod sanctioning bodies and organizations to the hopes and dreams for the future of the class - including the dreams of one day bringing all Pro Mod groups together for one, unified set of rules. The session featured discussions about how Pro Modified has become, in the minds of many, what Pro Stock used to be in its glory days, to the opening of the NASCAR wind tunnel in Charlotte to Pro Mod teams at an affordable rate. The seminar began with a history of the class presented by CompetitionPlus.com Founder and Editor and Pro Mod expert Bobby Bennett and went into presentations by various sanctioning bodies and ended with a spirited speech from Wes Buck, Editor and Founder of Drag Illustrated and creator of the famed World Series of Pro Mod. The Pro Mod seminar was an important moment in the continued evolution of the class as the popular doorslammer cars continue to make headlines with large fields, a wide variety of cars and pockets of drag races all around the world that feature the class. But in order to keep that momentum going, experts say, the class needs to make sure it doesn’t price out the smaller teams and continues to harbour a competitive arena that, hopefully one day, will allow cars to switch between sanctioning bodies and run in a variety of races all across the country with little to no changes to the car. MR. WORLDWIDE - The global presence of the 2018 Performance Racing Industry (PRI) Trade Show saw a significant increase as a result of new media outreach efforts and PRI Show resources aimed at making the world’s premier motorsports trade show even more conductive to international business and exposure. In addition to the dedicated International Lounge and translators that were available to help motorsports professionals from all over the world take part in the three biggest business days in racing, Show officials hosted international media from key regions of the world to facilitate global coverage of the PRI Show. Special events like the annual International Council of Motorsport Sciences (ICMS) Congress, International Motorsports Trade Seminar, and the new International Networking Reception catered to the global racing industry. THIS COBRA BITES - 50 years ago, in February 1968, the world learned about Ford’s hot new street and race car, the Cobra Jet Mustang. Debuted at the ‘68 NHRA Winternationals, the Cobra Jet Mustang was outfitted with Ford’s 428ci Cobra Jet engine package and the world instantly fell in love. This weekend at the PRI Trade Show, fans got to see the evolution of that very car enthusiasts fell in love with all those years ago with the 50th anniversary edition Cobra Jet that generated a lot of views and heavy traffic throughout the weekend. Ewert went on to say just how special this car is to he and the rest of the team at Ford Performance that worked on it, likening it to raising a child and sending it out into the world. The 50th Anniversary Mustang Cobra Jet turnkey race car - the fastest production Mustang on the dragstrip - is capable of topping 150 mph with quarter-mile runs in the mid-eight-second range. The white machine with gold lettering pays homage to the original and is available now in a limited 68-car production. The new Mustang Cobra Jet is available in either Race Red or Oxford White and can be outfitted with exclusive 50th Anniversary graphics and badging. COCO FOR COPO - Not to be outdone by the fanfare of Ford’s beautiful Cobra Jet Mustang, Chevrolet also featured its own anniversary-themed 2019 COPO Camaro celebrating the 50-year milestone of the special order, ultimate performance models. Debuting at the SEMA Show earlier this year and once again featured at PRI, the special Anniversary Blue Metallic exterior COPO pays homage to the original Laguna Blue offered in 1969. A 50th Anniversary Engine Appearance Package that emulates the look of vintage Chevy performance engines, with an orange engine block, chrome valve covers, and a black high-rise intake manifold is also available for the naturally aspirated LSX-based 427 racing engine. The 2019 COPO Camaro’s available engine lineup includes a revised version of the supercharged LSX-based 350 engine, now featuring a 2.65L Magnuson supercharger as well as a 302-cubic-inch engine. The COPO Camaro also features a distinctive and exclusive front-end design not shared with other production Camaro models. Only 69 2019 COPO Camaro race cars will be built - the same number of 1969 COPO Camaro models built with the all-aluminum 427 ZL1 engine. McMillen’s increased popularity comes just a few months removed from winning the sport’s biggest race, the Chevrolet Performance U.S. Nationals right down the road at Lucas Oil Raceway. After suffering through years of heartache, explosions, broken cars and zero wins, McMillen finally broke through with his first win at Las Vegas in 2017 and followed that up with a string of final rounds in 2018 and an eventual win in the biggest drag race in the world. And, thanks to that never-give-up attitude, everyone wants to congratulate the man that has come to define perseverance. FUELING THE SPORT - VP Racing Fuels, known around the world for powering the evolution of racing fuels, introduced four new products at this year’s PRI Show in Indianapolis. GROWTH IS GOOD - Want to know when business is good? When your business catalog can’t keep up with your growth. Such is the case for Howard’s Cams, based out of Oshkosh, Wisconsin. One of the newest parts on display at the PRI Show was the new Exteme Black Severe Application Valves. These high nickel, stainless alloy one-piece forgings are great for naturally aspirated, nitrous, turbo, supercharged and pretty much any high-horsepower applications. The booth also featured a new line of Boost forced induction cams and other great products for racers. MORE AT MAHLE - One of the busier booths at the annual PRI Show was at MAHLE as the company showcased a number of great products for all forms of competition, along with featuring a number of autograph sessions with the likes of John Force Racing drivers John Force, Brittany Force and Robert Hight and the Kalitta Motorsports stable of J.R. Todd, Richie Crampton and Shawn Langdon. 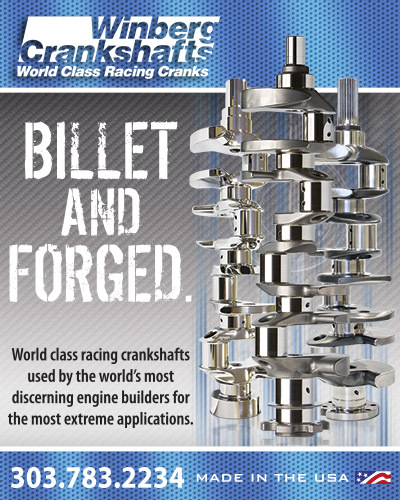 On the parts front, MAHLE featured the Elite Sportsman drag racing piston. Designed as a shelf stock piston compatible with popular BBC cylinder heads and giving special attention to drag race specific key stress areas, the new pistons are a popular product. 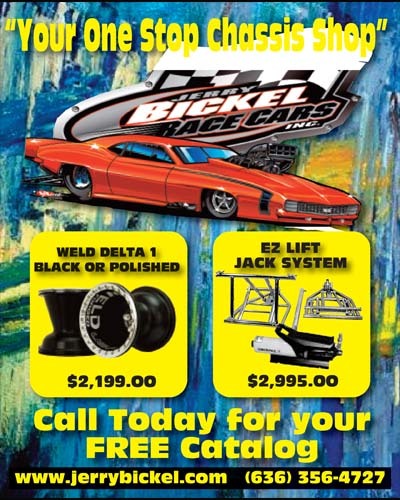 The Elite Sportsman Drag Series are loaded with custom features like light-weight, externally strutted, true slipper skit 2618 alloy forgings, dual coatings, lateral gas ports, and advanced pin bore, profile, and ovality geometries. 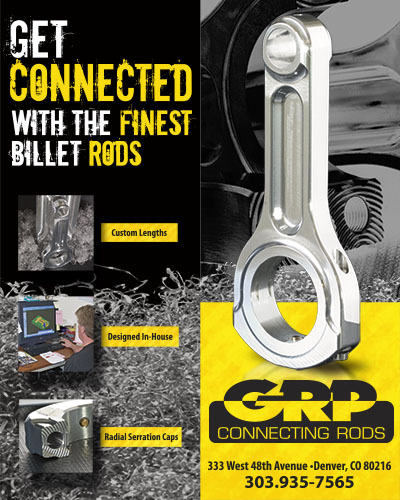 Grooved for a .043”, .043”, 3.0mm ring set, these kits come complete with pistons, wrist pins and circlips. THROWING DARTS - Dart featured two new blocks at the 2018 PRI Show, a small block Chevy Little M and a big block Chevy Big M.
The new Little M has a number of improvements over previous versions including a raised cam location and two different rocker bar layouts and a solid bar so racers can manipulate the lifter position laterally or bank angle and a lightened profile that reduces weight. It is still the same 220 BHN cast iron material and still comes with four-bolt mains on all five locations, but the center three are splayed. The Big M is very similar to the Little M with a big block Chevy. It features the same 220 BHN cast iron material, four-bolt mains, but now with the iron block it is available with a 400 raised cam, giving racers options to run larger cam diameters and still put larger strokes in them to get maximum power benefits and durability. “The lifter bars in the valley, we offer two seperate options of a full profile lifter and a standard bar for moving lifter locations laterally and bank angles aggressively. It also has an AN plug and o-rings in the valley as well,” Sanders said. BIG BOOTH, BIG INNOVATION - One of the biggest booths on the showroom floor, Holley always draws large crowds with its innovative products and accessible employees. And this year was no different. Holley showcased a number of new products, many of which made their debut at SEMA earlier this year including a full line of Sniper EFI systems that are bolt-on throttle body fuel injection systems. Holley also showcased an array of fuel systems, fuel tanks, EFI retrofit fuel tank and a 340 liter-per-hour diecast drop-in fuel pump module, including a brushless fuel pump drop-in model as well, capable of supporting over 2,000 horsepower. THE CASE FOR ATI - ATI had on display several exciting products including the new SuperCase SFI certified transmission case for Powerglide, Turbo 400 and Turbo 350 transmissions. The case, bellhousing, and tailhousing are cast from 356T6 cast aluminum developed to eliminate weak points found in the original GM transmission cases. The rugged ATI SuperCase and bell housing are SFI approved for competition, and feature a steel safety inner liner that weighs only 29 ounces. In addition, the SuperCase features a removable bell housing that bolts directly to the transmission case. ATI also showcased a T400 output shaft available in three lengths, a standard 9” T400 length for 4” tailhousings, 8.5” for special Powerglide length tailhousings and 6” for 4x4 use with no tailhousings. This new part is great for when high horsepower meets heavy weight, or rear gear is numerically low. “This is a direct replacement and goes two to three times whatever the factory horsepower is meant to handle because it is a brand new part,” Baker said. SEE YOU NEXT YEAR - That concludes the 2018 PRI Trade Show, we will see you next year the weekend of December 12-14 for the 2019 Show.